From October 2–5, 2015, the State of South Carolina, and the City of Charleston in particular, experienced historic rains: sites in the Charleston area reported up to twenty-six inches of rain. The downpour combined with high tides to create flooding that closed dozens of streets throughout the City. Then, at the end of October, Charleston experienced the fourth-highest tide ever recorded in the City. Persistent winds combined with the bi-monthly spring tide to create a high tide that reached 8.7 feet above mean lower low water level in Charleston Harbor. The two unrelated events in the same month show just how vulnerable the City is to flooding. When rising sea levels and other climate-change-induced flooding are added to the mix, the flood risk will only increase, especially for the Charleston’s numerous historic properties. Charleston is a city rich in historic resources. In fact, the City’s Historic District contains more than 1400 “historically significant buildings.” Additionally, of the seventy-seven National Historic Landmarks (“NHLs”) in the State of South Carolina, thirty-three are located in Charleston.While the City of Charleston has begun working to address flooding issues, it has yet to address specific climate-change-related threats to its historic resources. Charleston should therefore look to the example provided by other coastal cities and begin implementing law and policy changes designed at protecting historic resources from the impacts of global climate change. Although the exact amount of sea level rise is difficult to predict, Charleston is one of the five cities in the Southeastern U.S. “most at risk” from higher sea levels. By 2100, relative sea levels for Charleston are predicted to rise at least a foot, if current rates of sea level rise remain the same. However, if rates of sea level rise increase, Charleston could see anywhere from 2.5 to six feet of relative sea level rise. At these levels of relative rise, higher seas would likely inundate between 250 and1100 square milesof land throughout South Carolina. Even modest sea level rise could be detrimental to Charleston’s historic district. With sea level rise of 1.6 feet and a seven-foot high tide, several NHLs would likely be inundated, along with numerous other historic structures. If there are higher rates of sea level rise, the threat only increases. With ten feet of sea level rise, most of the Charleston peninsula would be under water at high tide. Since Charleston’s storm water drainage system empties into coastal waters, increased sea levels will also make drainage during storms more difficult, further increasing the flood risk. Because the City of Charleston has significant control over historic properties through the power of the Board of Architectural Review (“BAR”), the City must begin developing a climate change adaptation plan with specifically designed with historic structures and the historic preservation district in mind. While the Charleston City Code contains provisions regarding construction in flood zones, the historic preservation ordinances make no mention of flooding. The City should rectify this by amending the Zoning Ordinance to recognize the threat of flooding for historic properties. Aside from amending the Zoning Ordinance, the City should provide guidance to historic property owners regarding modifications of historic properties. Such guidance could be included in city plans or issued by the BAR. At least two other East Coast cities are well ahead of Charleston in implementing climate-change readiness plans with historic resources in mind. These cities provide examples of the kind of changes the City of Charleston should consider adopting. In the wake of Superstorm Sandy, the City of Somers Point, New Jersey, which is located on a small coastal peninsula, implemented a comprehensive recovery plan. The plan recognizes the growing threat that rising sea levels will pose to much of the city through increased flooding, including to it’s historic properties. While city zoning ordinances exempt historic properties from requirements to elevate or storm proof, the plan nonetheless includes recommendations for protecting historic properties from flood damage. These include locating mechanical equipment above flood levels and elevating or flood proofing any additions. Additionally, the plan recognizes that homes in the City’s historic district may nonetheless have to be elevated five or more feet. Charleston’s BAR should take similar steps in recognizing the inevitable fact that sea level rise may necessitate raising historic properties in order to preserve them. Annapolis, Maryland, is another historic East Coast city that is facing the threat of flooding caused by sea level rise. In recent years Annapolis has experienced “regular flooding resulting from rising sea levels and increasing storm surges.” Additionally, the entire Chesapeake Bay region is sinking due to a the slow depression of a “glacial forebulge” created during the last ice age, which will increase relative sea level rise in the region. In response to the almost certain threat of sea level rise to its City Dock and Historic District, the Annapolis has collaborated with a variety of stakeholders to develop a climate change resiliency plan. In order to protect Annapolis’s historic core, which contains “one of the largest collections of 18th-century buildings in the country,” the City is working to provide property owners with resources to protect those structures. Annapolis also plans to add back flow preventers where draining pipes empty into the bay in order to keep high tides from flowing back up the pipes. Additionally, the City has begun a comprehensive survey of properties in the 100-year floodplain, which can be used to identify those historic properties that are most at risk. Charleston should follow examples of Somers Point and Annapolis and begin to tackle sea level rise head on. In addition to modifying historic preservation laws and providing guidance to historic property owners, an important first step would be to begin surveying properties in the city that are most vulnerable to flooding. Additionally, the City should begin to develop a comprehensive plan to protect its infrastructure and historic properties from sea level rise. Charleston has built a multi-million dollar tourism industry based on its image as a center for historic architecture. Any additional delay may put that industry, and many sites that are integral parts of our history, at risk of destruction. * Third-year law student at the University of Virginia School of Law. 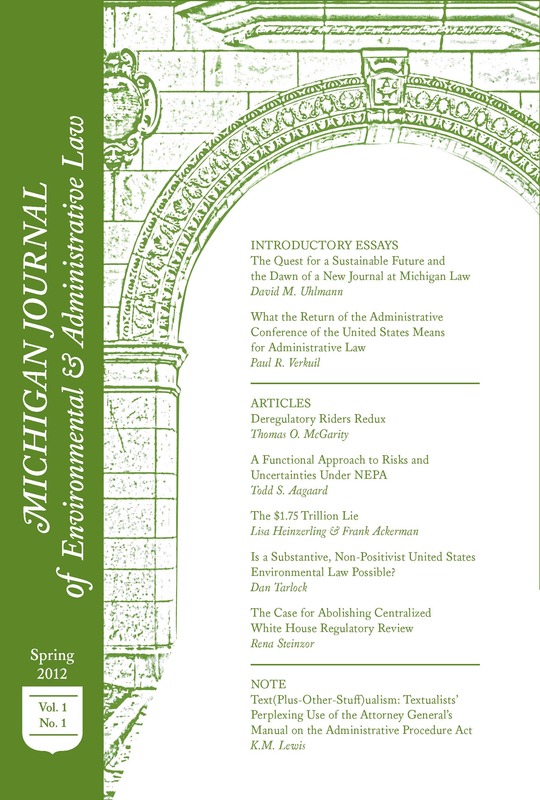 Former Editor-in-Chief of the Virginia Environmental Law Journal. Dustin Waters, Monday Flooding Update: Peninsula Reopened but Many Roads Closed, Charleston City Paper (Oct. 5, 2015, 9:01 AM), http://www.charlestoncitypaper.com/ TheBattery/archives/2015/10/05/monday-flooding-update-peninsula-reopened-but-many-roads-closed. Jon Erdman, Homes Damaged From Highest Tides in Decades Along Parts of Georgia, South Carolina, Weather.com (Oct. 27, 2015, 12:45 PM),http://www.weather.com/ storms/severe/news/charleston-south-carolina-georgia-coastal-flooding. Id. By comparison, the highest high tide ever recorded in Charleston Harbor, 12.6 feet, occurred during Hurricane Hugo in 1989. Id. Community History, Nat’l Park Serv., http://www.nps.gov/nr/travel/charleston/ community.htm (last visited Dec. 15, 2015). Nat’l Park Serv., Spreadsheet of National Historic Landmarks (2015). Of these 33 NHLs, only Drayton Hall, a Colonial plantation located up the Ashley River from Downtown, is not on the Charleston Peninsula. Charleston’s previous mayor Joseph Reilly made drainage improvements a key part of his public works strategy and he was instrumental in two massive drainage projects which being constructed under the City Market and the intersection of Spring and Fishburne streets. Paul Bowers, New Interactive Map Shows Effects of Sea Level Rise on Charleston, Charleston City Paper, (Aug. 13, 2014) http://www.charlestoncitypaper.com/charleston/new-interactive-map-shows-effects-of-sea-level-rise-on-charleston/Content?oid=4972978. Charleston’s newly elected mayor John Tecklenburg’s drainage and flooding relief plan proposes completing existing drainage and pumping projects, a neighborhood “gutter watch” program, green roofs, drainage outlet backflow preventers, and smaller portable pump systems for spot local flooding. Part 1: Livability and Quality of Life, Tecklenburg for Mayor, http://www.tecklenburgformayor. com/part_i_livability_and_quality_of_life (last visited Mar. 17, 2016). See generally Melanie Weston, Washing Away Our Heritage: The Impacts of Rising Sea Levels on National Historic Landmarks in Boston Massachusetts and Charleston, South Carolina, 22 (Aug. 2015) (unpublished masters thesis, College of Charleston and Clemson University) (on file with Tiger Prints, Clemson University). Lynne M. Carter et al., U.S. Global Climate Change Research Program, Chapter 17: Southeast and Caribbean, in Climate Change Impacts in the United States (J.M. Melillo et al., eds.) 396, 400 (2014).The other four are New Orleans, Virginia Beach, Miami, and Tampa. Id. An analysis on Inhabitant Displacement and GDP Production Impediment due to Land Inundation, 20 (2012) (unpublished masters thesis, University of Gronigen) (on file with the author). Weston, supra note 8, at 40–41 (superimposing a map of Charleston NHLs over a NOAA map of inundation which would occur with 1.6 feet of sea level rise and a 7 foot high tide). These include the Robert William Roper House, the Denmark Vesey House, the Old Marine Hospital, the William Gibbes House, and the Charleston City Market. See Bowers, supra note 8 (set interactive map to 10 feet sea level rise). Why Does It Seem Like Charleston Always Floods When It Rains? The Challenges of Draining a City That is Low, Flat, and Next to the Ocean, City of Charleston, https://sc-charleston.civicplus.com/DocumentCenter/View/574 (last visited Dec. 15, 2015). To protect historic properties in the city, Charleston has enacted two historic preservation districts: the Old and Historic District and the Old City District. Charleston, S.C., Zoning Ordinance, art. 2, pt. 6, § 54-231 (2005). Most importantly for the climate change context, the districts grant the city’s Board of Architectural Review (“BAR”) the authority to review exterior modifications to some historic structures. Id. § 54-232. For all structures in the Old and Historic District, the BAR review and approval is required for all alterations to “the exterior architectural appearance of any structure which is visible from a public right-of-way.” Id. § 54-232(a). Owing to its extensive powers, BAR support will be crucial for the success for any climate change adaptation plans for either individual historic properties or either of the historic districts. See generally Charleston, S.C., City Code ch. 27 (2015) (Stormwater Management and Flood Control). See generally Charleston, S.C., Zoning Ordinance, art. 2, pt. 6 (2015). See City of Somers Point, N.J., Strategic Recovery Planning Report Building a Stronger, More Resilient City (2014), available at http://www.somerspointgov.org/ main/documents/StrategicRecoveryPlanningReportSP.pdf. Mapping the Risk of Sea Level Rise, Pres. Leadership F. Blog (Aug. 4, 2015), http://blog.preservationleadershipforum.org/2015/08/04/mapping-the-risk-of-sea-level-rise/#.VnLC5BNViko. Dan Satterfield, USGS- The Chesapeake Bay Region Is Sinking While The Sea Rises, Am. Geophysical Union (Jul. 29, 2015), http://blogs.agu.org/wildwildscience/2015/07/29/usgs-the-chesapeake-bay-region-is-sinking-while-the-sea-rises/. The forebulge is an uplifting of the tectonic plate underlying the Bay, caused by the weight of the ice sheet, which extended as far south as Pennsylvania. Id. E.B. Furgurson III, Rising Waters, Rising concerns: Annapolis Town Hall Addresses Flooding, Capital Gazette (July 9, 2015, 10:16 PM), http://www.capitalgazette.com/news/ environment/ph-ac-cn-flood-plan-confab-0710-20150709-story.html. Id. The city is also analyzing the feasibility of floodwalls and additional pumps and draining systems. Weston, supra note 8, at 49. Next How can Flint be made whole?